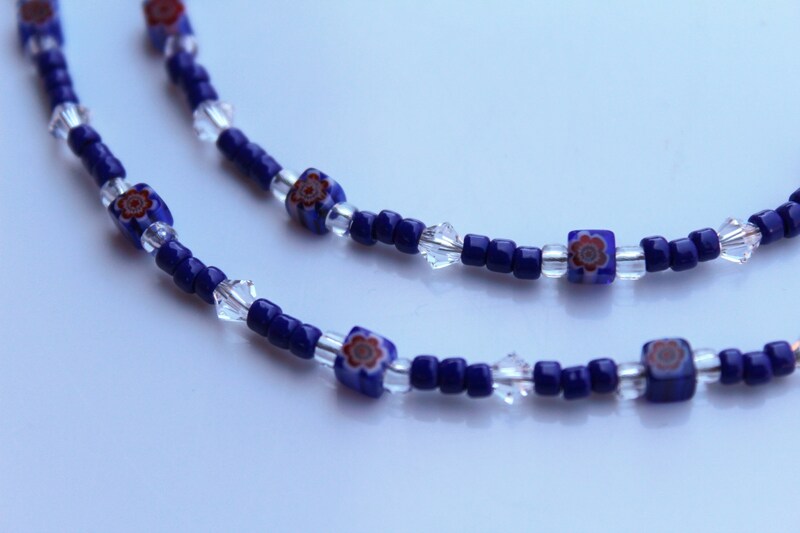 This choker necklace is made using tiny blue seed beads, Austrian crystals, and millefiori glass beads. 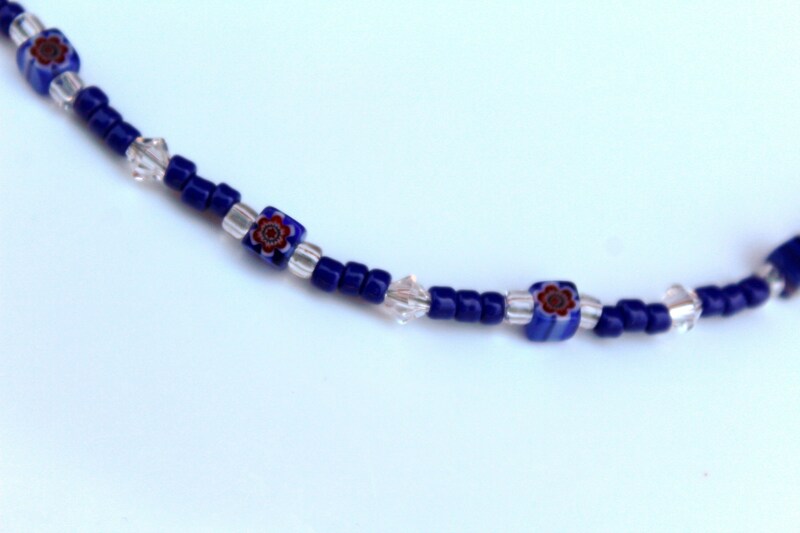 The blue millefiori cubes (although small - approximately 4mm), have pretty red flower designs within them. 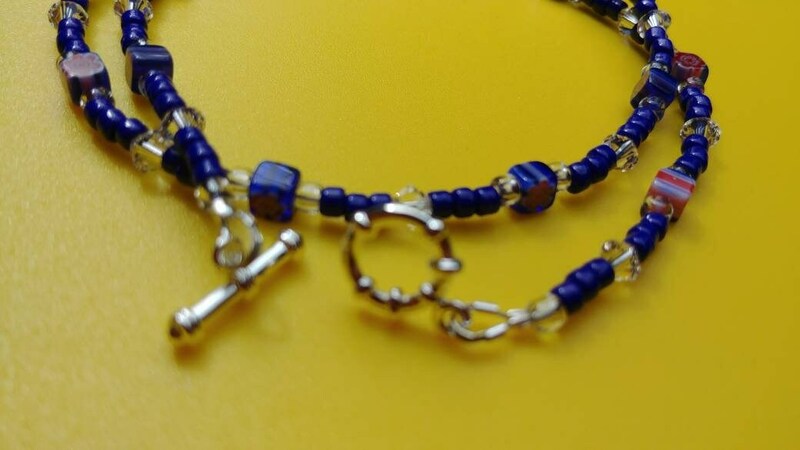 I chose a silver plated toggle clasp to help make it easier to get on and off. 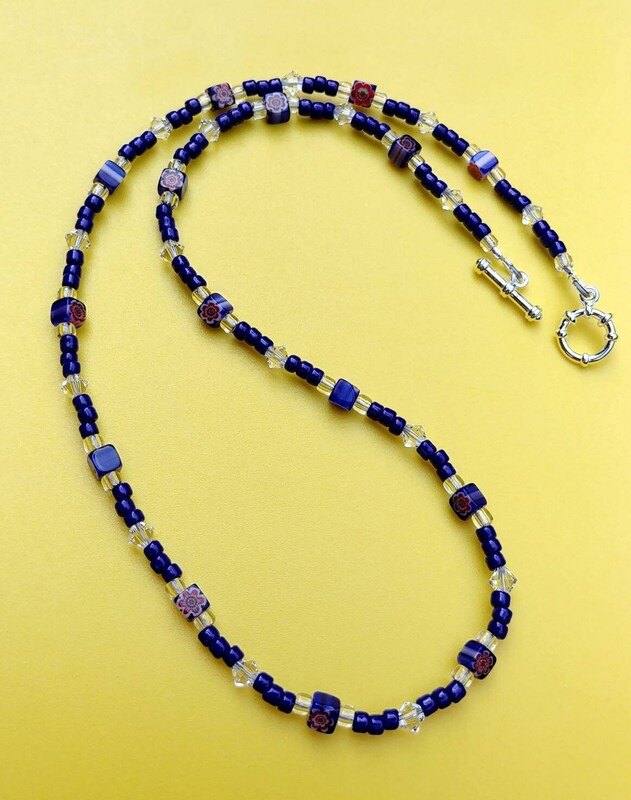 This entire necklace is approximately 17 inches long. 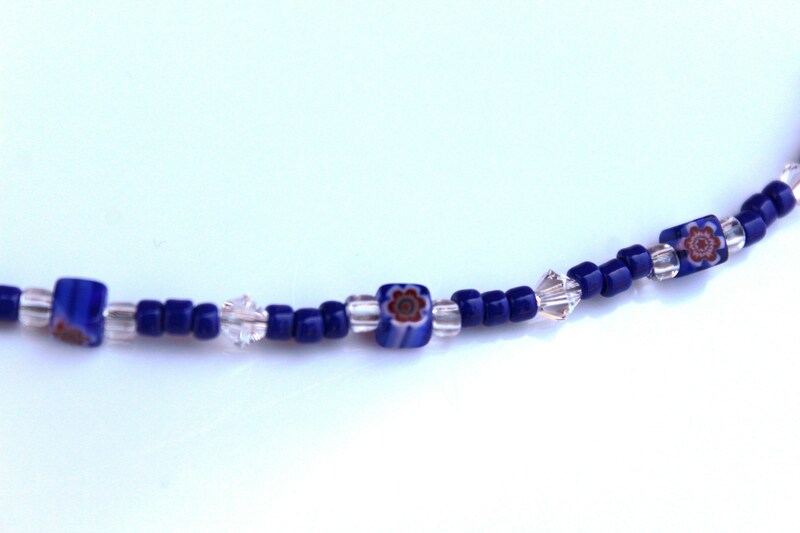 The shade of blue beads used is cobalt. 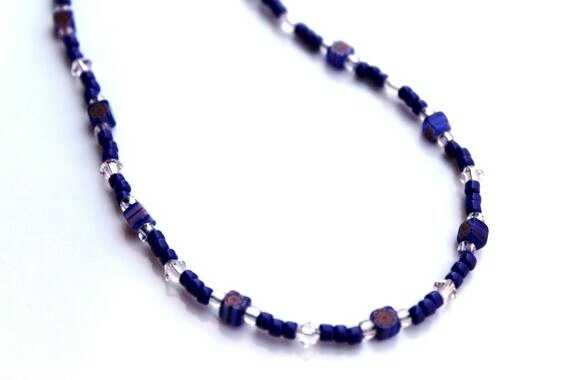 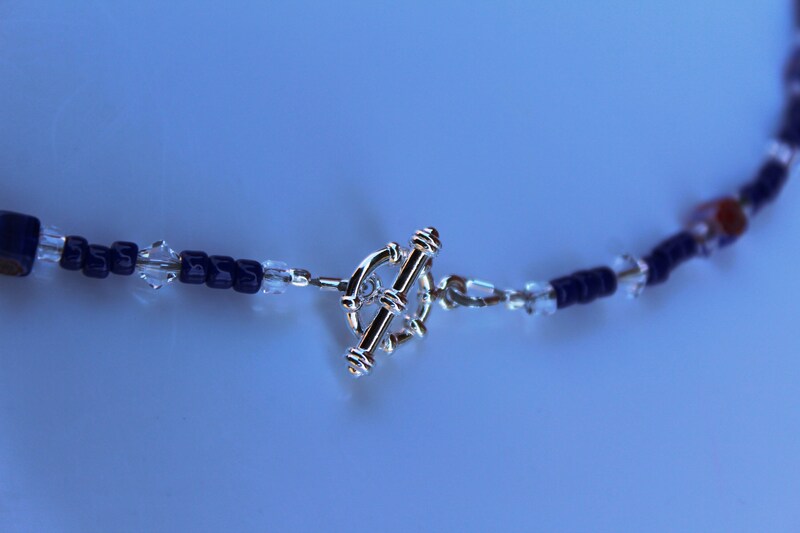 It is a beautiful dark blue color.